Latest Amplifier Offers Multiple Performance Applications Including Powerful Bridging Mode. 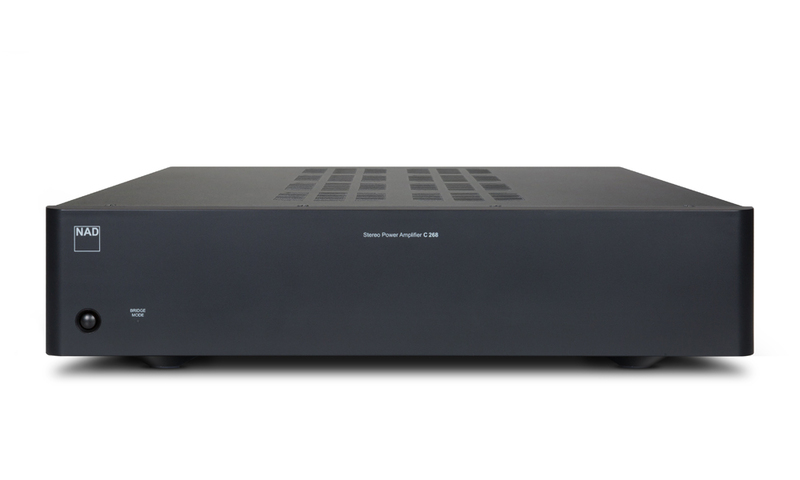 Rocky Mountain Audio Fest, Denver CO, October 5, 2017 – NAD Electronics, a leading manufacturer of premium home audio and video products, introduced the C 268, a new affordable stereo amplifier designed for multiple applications. Among some of the most common uses, the C 268 can be used in a traditional setup with a preamplifier, for bi-amping loudspeakers or as a slave amp. The new NAD powerhouse is even bridgeable, transforming its ample output from 80 X 2 to a remarkable 300 watts. The C 268 has a U.S. MSRP of $799 and will be shipping this month. NAD will be exhibiting at the RMAF in Denver, Colorado October 6-8. Along with sister brands PSB and Bluesound, NAD can be found in Room 8021 in the Tower and in A03 of the Atrium section of CanJam.